Patrick Martinez (NYAC) has been a man in limbo. Martinez burst onto the national Greco scene just a few short years ago and quickly made his mark at 80 kilograms — one of the two “non-Olympic” weight classes that came along with the slew of changes the global governing body enacted following the International Olympic Committee putting a proverbial gun to the sport’s head in 2013. The then-24-year-old Martinez slid right into 80 kilos beautifully. A top-eight finish at the 2014 US Open proved he sported some solid potential. 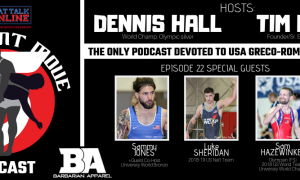 With full-time Greco-Roman training under his belt a year later, he had scored himself a few nice wins and his first US National title. Seemingly a minute later, Martinez nailed down his first World Team appearance. He’d go 1-2 at those 2015 Worlds in Las Vegas, more than a representative effort for a relative neophyte. The Olympic Year then began in earnest and with it a need for some test runs. Martinez’s 80 kilos had to take a backseat if he was to accurately gauge the increased size and strength of the opposition at the higher weight class. Martinez finished eighth at the Vantaa Cup in Finland, but would go on to earn a bronze in Croatia. 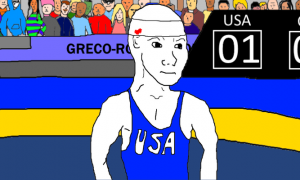 Another bronze, this time at the Pan Am Championships, provided the evidence he was looking for at 85 leading up to the Olympic Trials, to be held a month later in Iowa City. He was finding his footing, though a quarterfinal loss to eventual champ and now-two-time Olympian Ben Provisor (NYAC) ended his journey to Rio. 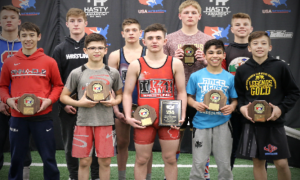 A subsequent defeat at the hands of Hayden Zillmer (Minnesota Storm) in the consolation final put him in fourth place, right on the outside looking in at a spot on the National Team. Martinez went 85 kilograms one more time in 2016, a tournament victory at the University Nationals in June. A return to 80 kilos came next. As the summer of 2016 heated up, so did Martinez. 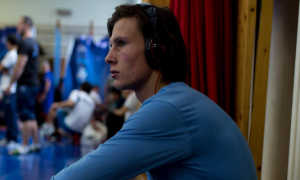 Back-to-back bronze medals at the Wladyslaw Pytlasinski Cup in Poland and the Grand Prix of Spain, two of the more challenging events available in Europe that time of year, announced his presence as a threat internationally and a ranking in the top 20 by UWW soon followed. By November, Martinez was still clicking on all cylinders as he secured his second straight trip to the World Championships after an exciting three-round series with Jon Anderson (Army/WCAP) in New York. A loss to Ashkat Dilmukhamedov (KAZ), who had bested Martinez the year prior, as well, cut short his quest for a World medal. But he wasn’t quite done with 80 just yet. 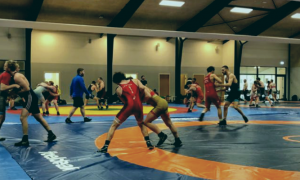 A promising start at Denmark’s Thor Masters Invitational was derailed when during his second bout of the morning, Martinez suffered a concussion along with a deep gash on his chin that required stitches. 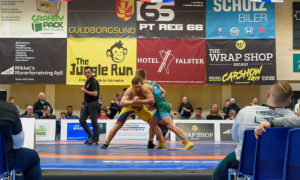 He still skipped briskly to the finish line– Martinez won that bout versus William Svalestad (NOR) via tech, sitting at 2-0 with two dominating victories, working with the kind of steam that tends to result in a medal-winning performance. Only, he was done. Not just for the day, but for the rest of the European tour. 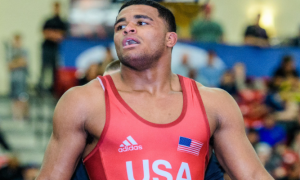 What had begun as a chance to enjoy a month’s worth of overseas training and three highly-competitive tournaments now meant he had to wait, heal, and pick up the pieces before the World Team Trials six weeks later. Thor Masters would also be the last time Martinez competed at 80 kilograms, the weight he had called home for the overwhelming majority of his young career. 85 kilograms at the 2017 US World Team Trials in Las Vegas was anything but a “safe space.” There was Provisor, the punishing Olympian still searching for his first ever trip to a Senior World Championships; Anderson, the tireless worker who never stops coming forward; 2014 World Team member and 2016 Olympic Trials champ Joe Rau (Minnesota Storm), widely recognized as perhaps the fiercest competitor in the country and a surprise entrant considering his success at the next weight up; reigning National Champion Kevin Radford (Sunkist), the greenest of the bunch but a capable scorer who can turn it on in a hurry. Other top contenders like Lucas Sheridan (Army/WCAP) and Khymba Johnson (NYAC) rounded out the beastly lineup. This wasn’t simply a tough bracket, it might have been the most stacked Trials weight class in over a decade. Martinez took a 3-0 decision over Johnson into the semifinals where another showdown with Provisor awaited. Predictably, the action was tight, tense, and unforgiving, but a 2-1 win for Provisor nonetheless. A crushing defeat for the native Californian it was, and as soon as he had a clearing, Martinez made a beeline out of the arena with thoughts of dropping out of the event altogether echoing through his brain. In his next bout, the consolation semifinals, Martinez was turned back by Anderson in another testy affair that delivered more scoring than their three bouts the preceding November offered combined. Martinez owned a 3-1 lead in the second period before Anderson scored two on a takedown and another four on a pair of gutwrenches. A late takedown by Martinez with under :10 remaining left him with not enough time to capitalize further. He concluded his 2017 Trials experience with a 7-5 win over Radford for fifth place. Looking back on it now, Martinez doesn’t seem to believe the jump back up in weight was the determining factor in his performance, but he does concede he may have lacked some of the extra pop required for the heavier opponents. 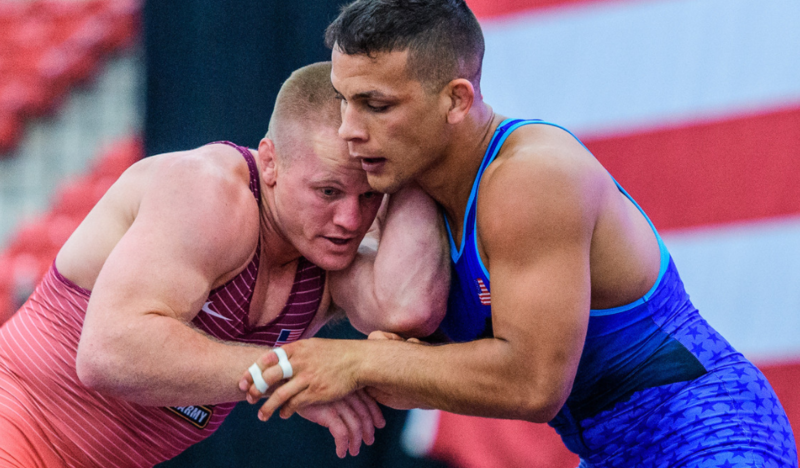 With the World Team Trials now a memory along with the hopes of making a third consecutive World Team, Martinez is left with little choice but to focus on the future. He has also been rescued from the mental gymnastics juggling weight classes offers. Martinez always knew he was destined for 85 kilograms; the problem lied in the fact he was cut out all-too-well for 80 and finding success there on top of it all. A return to 80 kilos has been taken off the table and with the burden of being a “tweener” a thing of the past, Martinez can hone in on what matters most in his career — a shot at Olympic glory. Currently, Martinez is hard at work preparing his body for its permanent competitive residency, so much so that he will be taking the summer off from traveling over to Europe in effort to concentrate fully on the task at hand. Originally, the plan was different. Just like last year, Martinez had his sights on going overseas to hop in a tournament or two with a training camp mixed in. After all, those ventures to the other side of the Atlantic in 2016 went a long way towards helping him get noticed outside of the US. But this time around he will be staying put, primarily because National Team assistant coach Mohamed Abdelfatah insisted Martinez’s time would be better spent going back to the basics, in a technical sense. 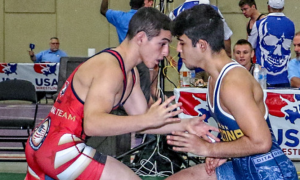 All it took was one conversation and the NYAC wrestler instantly saw the value in what his coach was saying. No, the World Team Trials did not go the way Martinez envisioned and the day as a whole could best be summed up as a bitter ending to what had been a fantastic year up that point. It was a tough pill for him to swallow, undoubtedly. A notoriously hard-marker, the 27-year-old has improved at not dwelling on a defeat, realizing those heaping doses of self-imposed punishment can morph into a cycle of unproductivity, something he wants to avoid at all costs. The solution? Revalue. Understand what happened, accept the circumstances, and then let that be the fuel to carry him further into his career. Martinez walked out of the arena after his loss to Provisor. The most important part of the story is that he walked back in. The lesson isn’t about what took place that day. It is about what takes place tomorrow, and the day after that, and the day after that.